Ashley Shattles is of counsel and the mother of two boys and a rare disease advocate. She provides legal services to families who have children with special needs, like her son, with issues related to wills, special needs trusts, estate planning, guardianships and appeals for the Katie Beckett Deeming Waiver, NOW/COMP, and the GAPP nursing program. Ashley graduated from the University of Washington School of Law, where she focused on public interest law. She received her Bachelor’s Degree in Economics from Emory University and a Master’s Degree in Social Policy from the London School of Economics. 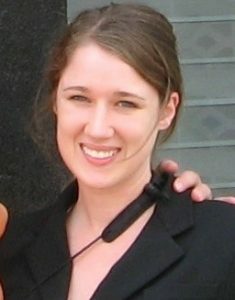 Prior to law school, she worked in Washington DC focusing on international development and policy issues related to social safety nets in developing countries. Ashley now lives in Atlanta and in her free time enjoys spending time with her two boys, enjoying the outdoors and reading. She is an active participant with the Phelan-McDermid Syndrome Foundation, serving as their Legislative and Advocacy Committee Chair. She is also a parent advisor for the Children’s Healthcare of Atlanta complex care clinic board.